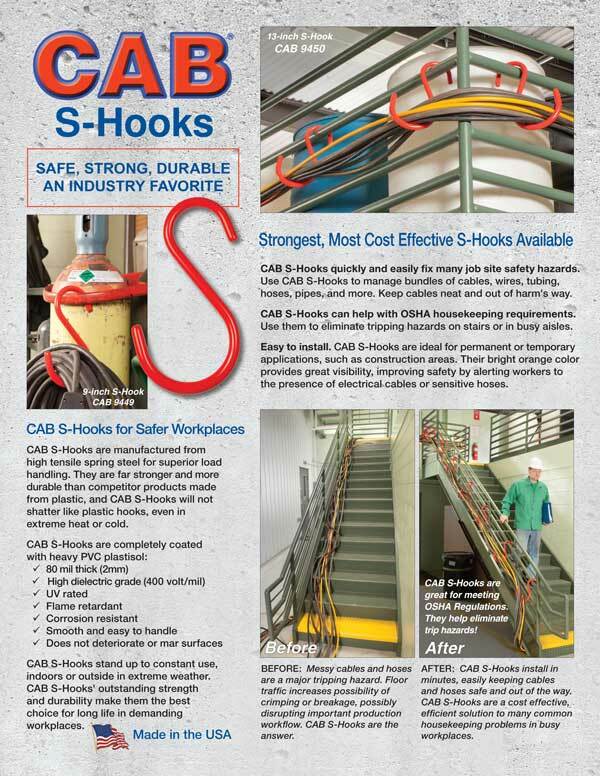 CAB S-Hooks are a quick and easy solution to meeting OSHA housekeeping requirements. They hook to almost any support and stand up to constant use indoors or outside in extreme weather, in temporary or permanent applications. CAB S-Hooks are manufactured from high tensile spring steel, and they are far stronger and more durable than competitve products. CAB S-Hooks are completely insulated with a heavy PVC plastisol coating which makes them non-conductive, corrosion resistant, flame retardant, smooth and very easy to handle. 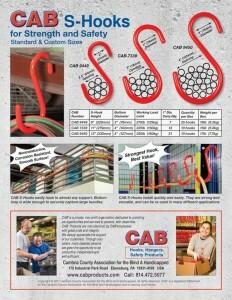 Click here to download and print CAB S-Hook flyer.